A couple of weeks ago I went on an overnight work trip to call on customers in Vernal, Utah. 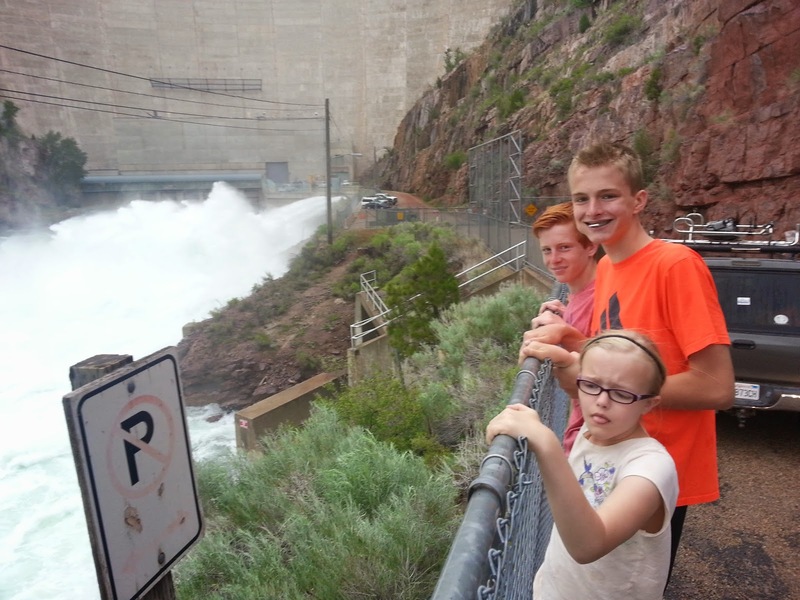 Since the kids were out of school I took Taylor, Parker, Xander and Jesi with me. We did the usual fun things the first day: dinner at a restaurant, swimming in the hotel pool, a movie on Netflix. (The boys and I watched "The Man Who Shot Liberty Valance," a classic western with John Wayne and Jimmy Stewart. Jesi didn't want to watch a black and white show, so she watched something more Disneyish.) 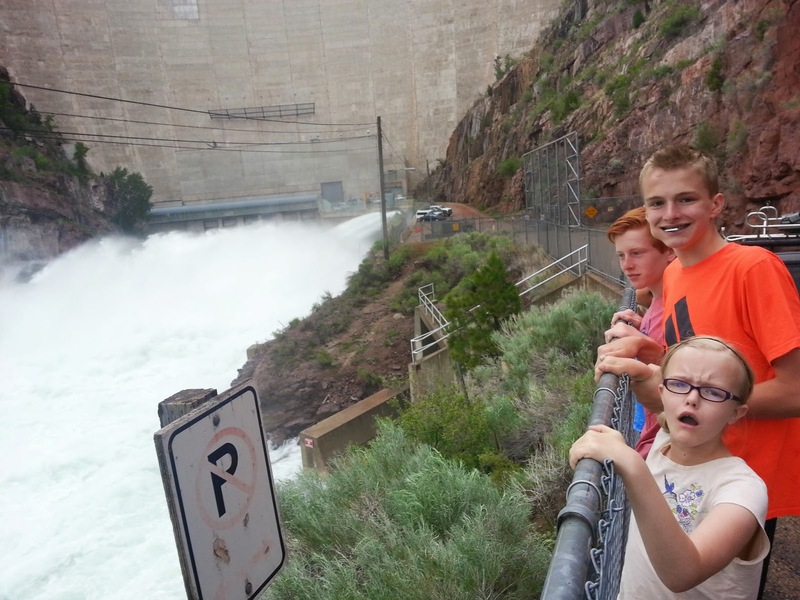 The next day after I had made my calls, we decided to take a longer route home and visit Flaming Gorge dam. Just as we were starting our tour, a flash of lightning in the distance required that the tour be postponed an hour. We watched a movie about the building of the dam while we waited. It was a fun trip with the kids, and well worth the extra time. I love the sleeping pic! So many times we are on the road it becomes a big nap for the passengers! Puppy pile. 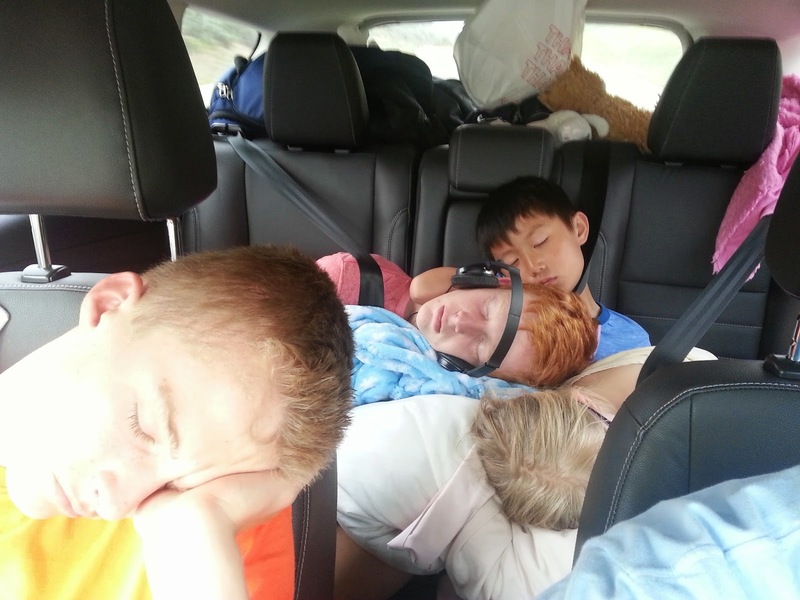 Sleeping kids in the car are like puppies.